Feature journalism can be treated like a genre of journalism. Although, there are types within this term such as those conducted in an interview style, profile, lifestyle, opinion columns and news features. It is defined by dictionary.com as “a newspaper or magazine article or report of a person,event, an aspect of a major event, or the like, often having a personal slant and written in an individual style”. It is also considered as the most prominent story in say, a magazine. Upon first glance many writing enthusiasts would sigh and think of more rules, more guidelines and more boundaries to be drawn from their writing expectation. Except this is a mistaken view. There seems to be a craze forming and becoming a feature journalist is seemingly more desirable (Steenson, 2009). Truth is, feature writing does not have one clear-cut rule. Although, there are some generalities journalists prefer to use such as, the inverted pyramid which is closely followed for news stories. However, it is important to remember that feature articles differ from typical news stories. A feature attempts to add depth and colour to a subject, whereas news stories should be objective and informative. This does not mean that the writer hasn’t done as much homework as your average reporter. In fact, probably more, because a feature intends to grab the readers attention through using anecdotes and quotes. Patterson (1986, cited by, Garrison 2009) outlines three basic rules for feature writing; firstly have a character, secondly develop a narrative within the piece and allow the reader to visualise it for themselves. He claims that most features have these elements in common and emphasises the importance of the engagement factor- using an active voice. Bleyer (1913) agrees that feature writing should be like a miniature story and also believes there is no definitive guidelines for its treatment. I agree with this statement and feel that everybody has an individualistic writing style, if this is incorporated in the feature there is a more personal touch that readers can identify and relate to. 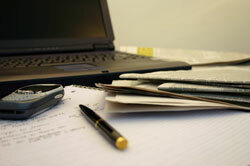 Of course, nowadays there are many more opportunities for feature writing in the online world. From the Guardian website to personal web blogs like this we are surrounded by such opportunities. So my take on all this feature business: get writing!! About anything and everything that you are passionate about, put it into words and captivate your readers. Analysing the effectiveness of the website version of celebrity gossip, Now magazine. Now magazine is easily found when googled, being the third most searched for, however there are other Now magazines, for example Now Toronto appears as the first result. When searched in the popular search engine ‘Ask’, it is the first unsponsored site that appears. The URL is http://www.nowmagazine.co.uk which is pretty straight forward if not using a search engine, making it easily accessible to existing and new users. The multimedia items, mainly videos, on the homepage and the designated video page, take a little while to upload, which could be frustrating to users. There are links on the homepage that allows the user to browse what they want to look at, for example, the arrows and the interchanging images. The site is catagorised into some general concepts; news, photo galleries/video, style, celebrity files, horoscopes, shop, win and blogs. Within these there are many hyperlinks to navigate you to other pages, this is a possible critique, but also quite useful. The logo at the top takes you back to the home page. The design fulfils the actual magazine theme, it follows the recognisability of the cover of Now this makes the site easier to find and assert that it is the one they are looking for. It seems to be very symmetrical, in the way there are many interchanging boxes/links, it is quite a neat layout. However, it can also be seen as too cluttered, with the features and the adverts. Another criticism of the design is that there are a lot of links that are interchanging which looks slightly messy and too much, e.g the No.7 advertisements. Fulfilling it’s market of delivering celebrity gossip, pictures and fashion. The website compromises with the hard copy itself and rewrites some articles that will be found through both mediums. It also has interchanging photographs in the top box, which gives you more choice or something that suits different audiences. Staying loyal to the ‘fashion’ theme, there are links of dresses halfway down the website. There are links showing the websites association with Facebook and Twitter. The advertisements are ones aimed at the female audience, for skincare, make-up and shopping. Everytime you navigate back to the home page the stories are refreshed and have updated. Audio content is not made clear at all, there is none evident on the home page. This is a major criticism, as it doesn’t cater to all audiences with reading or seeing difficulties. When the term ‘audio’ is typed into the search bar, there are two pages of results, so there are audio related features on the site, just not clearly shown. In comparison to the minimal audio content, there is emphasis on the videos, as well as pictures. On the right hand panel there are two interchanging boxes that feature the ‘top videos’ and the other has catagories of videos, the arrow allows user to see more videos they may want to watch. These panels remain there when browsing the rest of the site, however they sometimes take a while to upload. The videos that are shown bigger in the designated section are poor quality and quite pixelated compared to watching the videos on the side panels. Should Amy Winehouse remove her implants? Yes, they look like they might blow up! Interactivity has become a key component of websites, as it is a way for users to have more involvement on the site. On the homepage, there is a ‘latest poll’ section- which is updated and allows users to have their say. Users can comment on news stories, pictures, videos and blogs. However, it doesn’t look as though the users are taking advantage of this, as there are no comments on any of these. The user can be directed straight to sites where they can browse the websites latest recommended fashion and shop online. Various competitions can be entered by most users, those over 18. There does not seem to be any content created by the users. The stories have been written by editors of the magazine and there are bloggers that create their content.